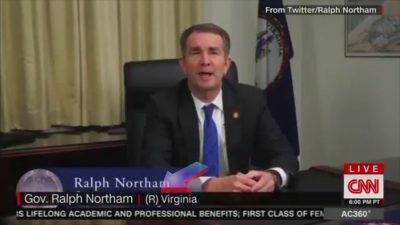 Northam exposed the agenda and now they will throw him to the wolves. 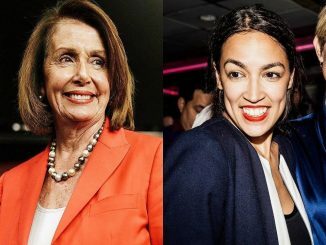 Democrats have successfully gotten the subject of after-birth abortion off of the minds of the country. People are now more concerned with Blackface than they are with killing babies. Northam makes it clear than the child would be resuscitated if that’s what the mother and the family desired. THEN the doctors would have a discussion with the mother. Only after the family says to keep the child alive will the doctors discuss their choice, as if it were a bad decision that needs correcting. This is ‘’after birth abortion’. This is the legal killing of a born-alive child. Infanticide. This is what Northam was talking about. The Liberal MSM jumped to his defense, with CBS being accused of downplaying the remarks, HuffPo saying he does not mean what he said, The New York Times calling it ‘Fake News”, and more. Nancy Pelosi refused to comment, and VA Delegate Kathy Tran, who introduced the controversial bill, claims she “misspoke” about the abortion bill. Despite the rallying cry to support Northam’s statements, the Left was losing this battle, as it was obvious that the belief the Democrat Party was heading to ‘after-birth abortion’ was gaining traction. They needed to distract the country and cut Northam loose. Big League Politics was first to find and circulate a photo of Northam from his medical school yearbook. The photo is on his page in the yearbook and depicts 2 men, one in Blackface and the other in a Ku Klux Klan robe. 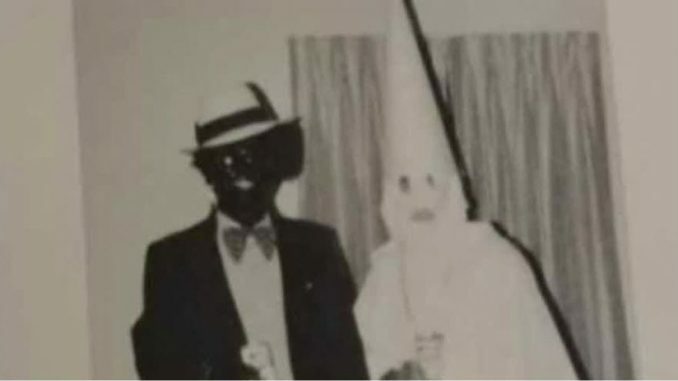 When the photo first surfaced, Northam immediately did what most Democrats seem not to understand, he took responsibility for the photo. “I am deeply sorry for the decision I made to appear as I did in this photo and for the hurt that decision caused then and now,” he said. And now, everyone is calling for his resignation. 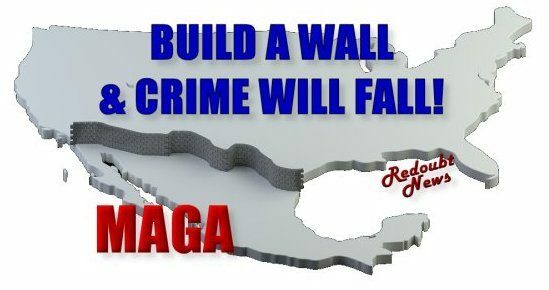 From the recently announced presidential hopefuls to the leaders of the Democrat Party. Twitter, and other social media, blew up over Northam’s photo. The Left dumped him faster than a dirty tissue. CNN even tried to label him a Republican. He has since backtracked and claims it was not him in the photo. 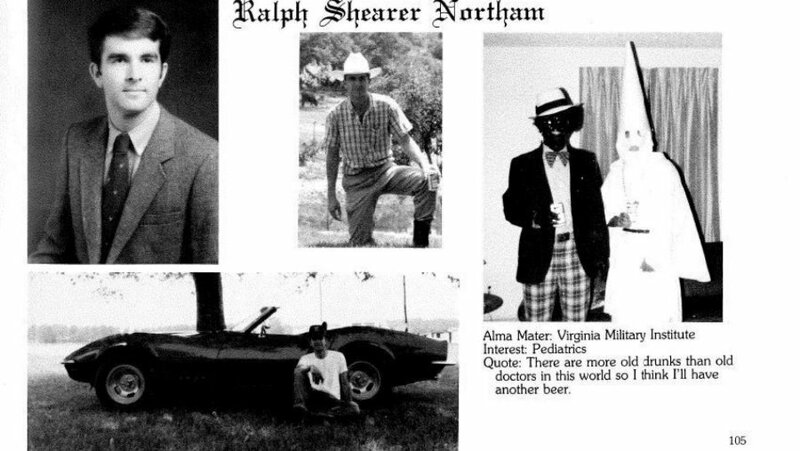 The point is, the Democrats have successfully taken the photo and used it to eclipse the real issue with Northam. He exposed the true agenda of the radical Left and made it clear they support legal infanticide. 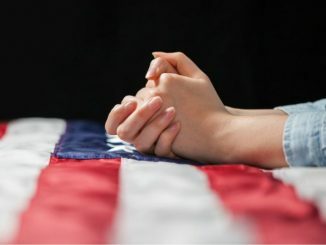 Will God Intervene To Save Our Nation? This whole episode of post birth infanticide reminds me of Nazi Germany in 1930’s and 40’s. The Nazi’s started small and kept going more and more until they created industrial level death factories. Following the Roe v. Wade decision, the left had asked for increasingly more leeway on abortion. 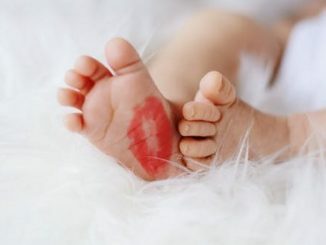 From nothing more than first term abortion, to late term abortion and now post birth infanticide. What comes next? Killing of those who don’t have what they consider is a normal human life? The elderly? Severely handicapped? Political rivals and deplorables? Who are the real modern day Nazi’s? I think the answer to that is rather obvious! The parallels led by the left in my country to the rise of the Third Reich are scary.